Well maintained tyres are paramount to your safety and are a legal requirement. Every time your car is serviced we will inspect your tyres including the spare as part of the safety check. The first thing we check is the tread depth, the minimum tread depth in NSW is 1.5mm. A tyre with less than 1.5mm will result in greater stopping distances, reduced grip and more chance of aquaplaning or sliding in wet weather. Remember only a small amount of rubber touches the road at any one time. A visual inspection will be done of the sidewalls to check for bulges, bubbles, cuts or other damage to ensure that you are safe from tyre failure or blowouts. The tyres will be inflated to the correct manufactures specified level. To find the correct tyre pressures for your vehicle check the owner’s manual. Some information may also be marked on the vehicle, for eg: inside the driver’s door or fuel flap. Checking for uneven wear and under inflation on a monthly basis (or weekly if driving long distances) can save you money on fuel and help to preserve your tyres for longer. Under inflation of tyres can also affect the vehicles handling and braking. Excessive wear on the outside of your tyre tread indicates under inflation. Excessive wear on the middle of your tyre tread indicates over inflation. If uneven wear is noticed it could also be from misaligned steering which can be corrected by performing a wheel alignment. 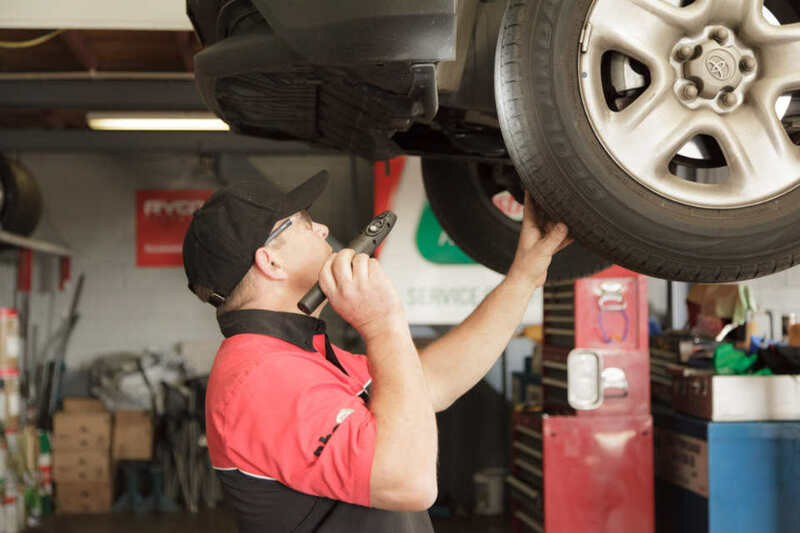 Other indicators that you may need your wheels aligned are road vibration, which not only causes premature wear but can also harm your suspension. 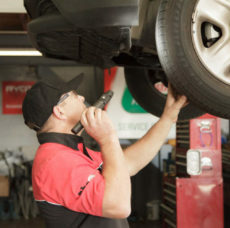 A wheel alignment every 12 months or 20,000km is a good form of preventative maintenance. Regularly servicing and checking your vehicle especially the tyres can not only keep you safe on the roads but can save you money. For any questions call us on 47323 676, message us on Facebook Angus Car Service or email us from our website.